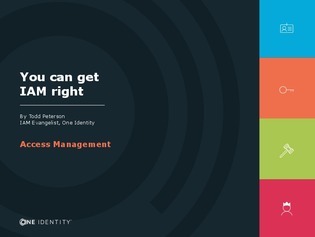 As you well know, the world of identity and access management (IAM) is one of constant change, shrinking deadlines, minuscule budgets, overtaxed staff and unmerciful regulations. Unfortunately, the approach most organizations take to IAM involves piecing together ‘half solutions,’ in the hope that tomorrow’s solutions will address real-world needs. In this book created exclusively for the RSA Conference, delve into the most pressing IAM issues faced by virtually every organization and sustainable approaches to the IAM challenges you face today.